Interconnecting models of components allows you to construct models of control systems. You can conceptualize your control system as a block diagram containing multiple interconnected components, such as a plant and a controller connected in a feedback configuration. Using model arithmetic or interconnection commands, you combine models of each of these components into a single model representing the entire block diagram. Interconnecting models of system components allows you to construct models of control systems. Interconnect numeric LTI models to build a single model of a closed-loop system. Interconnect fixed components and tunable components to build a tunable control system model. Build arbitrary block diagrams with any number of control loops by interconnecting models using the connect command. Build a MIMO control system with both fixed and tunable components. Obtain the closed-loop response of a MIMO feedback loop three different ways. This example shows why you should always use FEEDBACK to close feedback loops. Insert analysis points at locations of interest when you build control system models. Use analysis points for extracting system responses from the model. 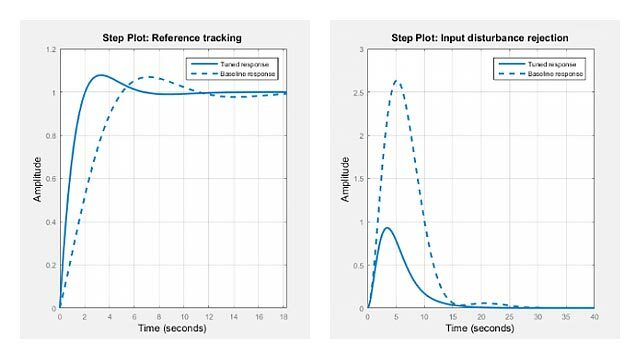 Build a control-system model with analysis points for extracting responses at different points in the system. Block diagram connections correspond to model interconnection commands or arithmetic expressions. When you interconnect models, the resulting model’s properties depend on the properties of the models you are connecting. Precedence rules determine the resulting model type when you interconnect models of different types. Choice of model type can affect numerical accuracy when you interconnect models. This example shows guidelines for building minimum-order models of LTI system interconnections.